There are many different types of tools available to record and edit video. These tools range from basic and inexpensive, to professional tools costing thousands of dollars. 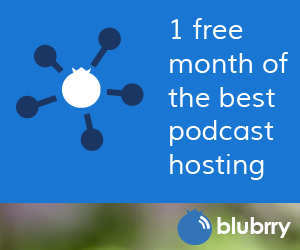 These are a few choices to consider for the beginning podcaster. Many of you will have a basic video camera already so you will not have to buy a camera, the main thing to remember about video recording is to have great audio. That sounds kind of weird but people will forgive you if the video quality is not cinema quality, but they will not put up with bad audio.So always hard wire the mic you are using to the camera. That isn’t to say that video quality isn’t important. With the ease and affordability of cameras now, some even on phones, don’t neglect it, but remember audio is more essential. Windows Movie Maker is a free video-editing tool that works only on Windows based machines. Apple iMovie software is made specifically for Macs and is bundled with Apple’s iLife software suite, which is priced at less than $100. Magix Movie Edit Pro is a Windows based video editing suite that packs very good features at a very reasonable price around $60. QuickTime Pro is a $30 program that allows Windows or Mac users to convert a variety of video formats into the iPod video format. Adobe Premeire Elements is a great consumer-level video editing application based off its popular professional editing suite. Only $100. Currently Cannon Consumer Cameras have been popular choice amongst many podcasters. Video capture gear from Black Magic Design has great price points and will take your productions to the pro level. Video podcasts are typically distributed in a QuickTime (usually with an MP4 extension) format in order to achieve compatibility with iTunes, the Video iPod and Apple TV. Beginners should exercise lots of patience when recording and editing media for the first time. Plan several dry runs. Make the episodes short. And make the goal to become comfortable with the recording process and familiar with the tools you are using. You may not like the finished product the first time around. That’s OK. Take it as a learning experience and commit yourself to doing better next time.